Devising and furthering ‘suitable’ national narratives is a much recommended culturally and intellectually highbrow activity for the awed and awesome amongst us. Truthdig is proud to present this article as part of its Global Voices: Truthdig Women Reporting, a series from a network of female correspondents around the world who are dedicated to pursuing truth within their countries and elsewhere. A sober anniversary last month reminded us of the U.S. attack on Afghanistan that took place on Oct. 7, 2001, in the wake of 9/11. The consequences of that American invasion were severe for Afghanistan, but the impact also crossed the long border shared with Pakistan. Both Afghanistan and Pakistan continue to stagger under the effects of an international conflict that extends back almost four decades. It is generally believed across the world that the Soviet Union triggered that conflict when it invaded Afghanistan in 1979. But we now know better, thanks to an admission in 1998 by Zbigniew Brzezinski, Jimmy Carter’s national security adviser. Brzezinski said Afghanistan became a flashpoint when he and the then-president sent “freedom fighters” from Pakistan into Afghanistan to force the Soviets to defend the Afghan government. Gen. Zia ul-Haq, the military dictator who ruled Pakistan at the time, went along with this scheme to break out of the isolation he found himself in after he ordered the hanging of former Prime Minister Zulfikar Ali Bhutto. Today, Pakistan and the U.S. face a stalemate in Afghanistan. Since President Donald Trump announced his South Asian strategy in August 2017, relations between the two countries have cooled visibly. Trump’s strategic plan put new pressure on Pakistan to stop protecting terrorists on the Pakistani-Afghan border. Islamabad denies that terrorists enjoy sanctuary in Pakistan. It claims militants causing devastation in Afghanistan and destabilizing that country have done so on the Afghan side of the border after they were driven out of Pakistan. But deadly incidents contradict that claim—just last month, a prominent Afghan police chief was assassinated by a young man who had trained with the Taliban in Pakistan. In 2017, Pakistan began to build a fence on its 1,600-mile border with Afghanistan. The $532 million fence is expected to be completed next year. 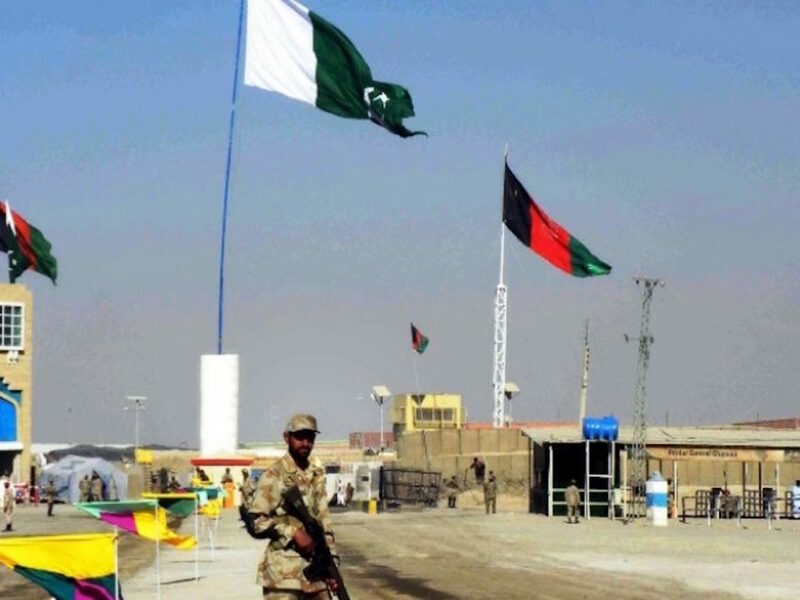 The Pakistan army claims this elaborate barrier will prevent terrorists from infiltrating the Durand Line, which has always been a porous border. But will it check infiltration? Skeptical observers doubt it because the border is dotted with tunnels that terrorists have used when border crossings became difficult. A quick visit to the region by then-Secretary of State Rex Tillerson in October 2017, as a follow-up to Trump’s August announcement, confirmed that all was not well between Washington and Islamabad. The two sides were courteous, but each maintained its stance. Tillerson presented Pakistan with a list of names of supposed terrorists, who were to be handed over to the American army. If Islamabad didn’t comply, it was to suffer undisclosed consequences. Pakistan, as usual, denied the existence of terrorist havens on its soil. A key change in the geopolitical situation in this region occurred in mid-August of this year when a new government was installed in Islamabad (led by Pakistan Tehreek-i-Insaf, or PTI), but that has not turned the tide of international politics in Southwest Asia. A hectic round of diplomacy between Pakistan and the U.S. since the election has been counterproductive. In early September, Secretary of State Michael Pompeo made a five-hour stopover in Islamabad, which appears to have been a scouting mission to assess the PTI’s approach to strategic issues in the region. It does not appear that any progress resulted. Another exercise in diplomacy proved futile last month when Foreign Minister Shah Mahmood Qureshi was in the U.S. to attend a United Nations General Assembly session. His second meeting with Pompeo—this time at the White House—did not even produce a joint statement, so far apart were the two sides in their views on the region. The deadlock is rooted in the two countries’ differing perceptions of Afghanistan and India. Washington wants to make India the key regional player in the Great Afghanistan Game. The U.S. has forged close economic relations with New Delhi in recent years, and Trump has called on India to reciprocate by supporting the pro-American Ashraf Ghani administration in Kabul. (The U.S. helped facilitate Ghani’s election.) Washington wants Pakistan to help sustain the status quo and to stop competing for influence in Afghanistan. The U.S. also wants to revive trust between Islamabad and Washington by implementing all military agreements between the two countries signed in the post-9/11 years. Those agreements have centered on eliminating terrorists in Afghanistan. The demands Washington is making run counter to the strategic aims of the Pakistan army, which has the final word in policy matters. The ruling PTI—which has benefited from support of the military—hardly has any leverage in the situation. For its part, Pakistan wants the U.S. to focus on New Delhi-Islamabad relations and to promote détente between India and Pakistan, both of which are armed with nuclear weapons. India has been considered Pakistan’s Enemy Number One since the two South Asian neighbors emerged as independent states in 1947, but many Pakistanis have not agreed with this policy, deeming it unwise and dangerous for their country’s survival. Until recently, there have been periods of stability and near-détente, and the U.S. has helped by adopting a policy of mediation and conciliation on India-Pakistan issues. Peaceful relations with India would enable Pakistan to focus fully on its western front, which is the main theater of war against the terrorists in Afghanistan. With no understanding reached on several regional issues, the stalemate continues. To quote Pompeo, the objective of “resetting” the direction of U.S.-Pakistan relations has not been achieved. Islamabad has to find a way out of this crisis by strengthening its hand with regard to security and the economy. For decades, Islamabad has found strength through strategic links with Washington, including the arms aid it has received for its military operations. Since the 1950s, it has also received massive economic assistance from the U.S., although critics say injudicious use of those funds has made Pakistan overwhelmingly dependent on foreign aid. Much of the money went for projects that never became functional because they were inappropriate for Pakistan’s conditions, while a lot of money in “tied” aid went back to the donor country. (Under the conditions of tied aid, the country that receives funds must spend that money on goods from the donor country.) Newsweek reports that some funding may even have been embezzled. Getting out of the debt trap isn’t easy, with an economic crisis staring the country in the face. As on 21 previous occasions, the government in Islamabad is approaching the International Monetary Fund (IMF) for a bailout. An IMF mission is visiting Islamabad this week. The PTI government also has been seeking economic aid from allies, notably Saudi Arabia and China. Prime Minister Imran Khan managed to get a bailout of $6 billion from Riyadh at the Future Investment Initiative last month. He has also visited Beijing. and China has assured him it will help Pakistan in its present crisis but shrewdly has not announced any details, leaving those for future negotiations. The Chinese likely are waiting to see the outcome of the IMF talks. Since 2013, China has emerged as Pakistan’s biggest economic partner. The China-Pakistan Economic Corridor (CPEC) is an integral part of Beijing’s One Belt, One Road initiative, which will open shorter overland and sea routes to enhance China’s connections with the Middle East, Africa and Europe. To ward off criticism from several quarters, the Chinese declared recently that CPEC was not the cause of Pakistan’s current economic malaise. That is true. Every Pakistani government since the 1950s has contributed to the country’s debt burden by borrowing millions of dollars from the West and the IMF. But what’s also true is that when the repayment of the $50 billion in CPEC-related loans begins in 2023, the crisis will escalate. Topline Securities, a brokerage house that analyzes CPEC-related finances, estimates Pakistan’s debt to China will balloon to $90 billion in the 30-year repayment period. The basic fact is that Pakistan’s failure to live within its means has brought its economy to the brink. Its biggest expenditure has been on defense, which has limited its capacity to improve human resources. Conditions imposed by Pakistan’s creditors has restricted its options in every walk of life because much of the aid has been earmarked for military equipment and unfeasible civic projects. To bolster the country in terms of military security, Pakistani policymakers have turned to states that compete with the U.S. in the global race for strategic supremacy. Pakistan has been closely involved in military exercises with China on a regular basis since 2004, claiming they promote peace and reinforce the preparedness of Pakistan’s defense forces. That is nothing new—the two countries have had close defense ties since the 1960s. Russia has not been a stranger, either. True, a long period of Pakistan-U.S. military alignment alienated Russia from Pakistan. But didn’t someone say that there are no permanent friends or foes in international affairs? Russia and Pakistan have seen periods of amity as well. In 2014 Islamabad signed a defense cooperation pact with Moscow, when global politics appeared to be reverting to an erstwhile confrontational pattern. Since then, Russia and Pakistan have held three military drills to strengthen cooperation and exchange expertise on counterterrorism. The third drill, dubbed Druzhba-III, ended last month. If nothing else, these exercises amount to a show of strength and a warning that the U.S. should not expect an easy victory if it confronts Pakistan. Pakistan has also held war games with Saudi Arabia, Iran and Turkey. Apart from military benefits, these exercises show that Pakistan is not isolated. However, this regional involvement has dragged the government into disputes that it has long sought to avoid. For example, Gen. Raheel Sharif, Pakistan’s retiring chief of army staff, was appointed commander in chief of the Islamic Military Counter Terrorism Coalition (formerly the Islamic Military Alliance). The appointment was made by the Saudi government with the approval of the Pakistan defense minister, although Pakistan’s National Assembly voted against it. Public opinion in Pakistan strongly disapproves of the government’s involvement in Saudi conflicts in the region. Pakistan’s economic and security challenges are daunting. With China’s support, short-term solutions are being found, although in the long run Islamabad’s woes will become direr than ever. Trump’s inability to take a multidimensional view of the region, especially of the India-Pakistan conflict, will destabilize the region further. This area is home to two states with nuclear arms, and even a skirmish could trigger a devastating war. THIS year an alternative discourse dominated the weeks leading up to the middle of August, when, 70 years ago, Pakistan and India became independent. Marking a shift in focus, the public narratives moved away from the traditional recounting of the politics of the leaders in the 1940s to the experiences of the common man whose fate was decided. May 12th 2017 is as good as come and gone. As I recall 2007—the year of CJP Iftikhar Chaudhry, for his persona was at once the catalyst and dynamic—that May 12th anniversary marker’s mood-content would be anachronistic today. Its villains and martyrs have squirmed and shifted, and are no longer held firmly within the mould of that year’s context.